This mill file, perfect for storing in your shed for machete sharpening, has two sides. You are buying ONE file. There are two in the photo simply to show both sides. 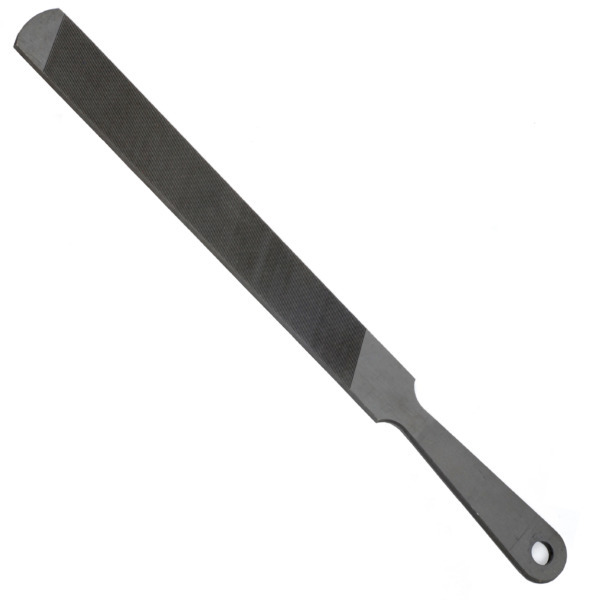 One side is double-cut for coarse or rough sharpening. The other side is single-cut for fine sharpening. With an integrated handle, there is no need to attach the file to anything, it is ready to use out of the box. When machete sharpening, be sure and push the mill file towards the blade, not pull it away from the blade. The teeth of the file are angled away from the handle, toward the top of the file. If you pull the file, you will simply dull the teeth but not sharpen the blade.